Warm: Reconstruct a warm tube drive tone and nice dynamic response of classic tube amplifier; it provides a natural, smooth, creamy overdrive sound. The Green Mile features a full metal shell, which ensures many years of great service. 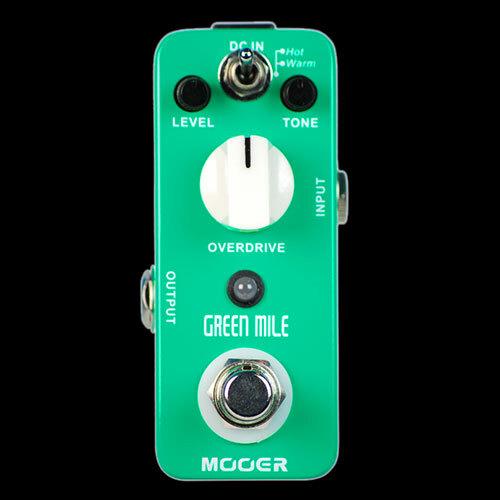 Like most great effects pedals, the Green Mile features true bypass in order to protect your signal integrity when the pedal is not engaged.